You are purchasing directly from the developer & manufacturer of True USB Willem universal programmer series: better pricing and better support. 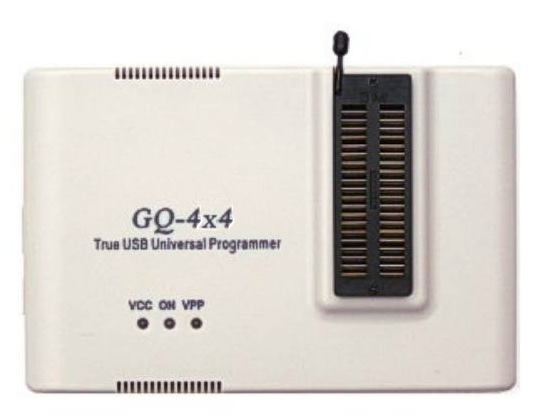 GQ-4X is the newest model of True USB Willem Universal Programmer series from MCUmall Electronics Inc Canada. 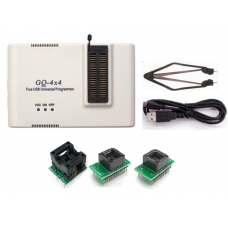 The application-oriented & application-enhanced design facilitates GQ-4X supports thousands of most popular application devices (growing) and ideally suits the portable/convenient applications that includes: car automative field ECU chiptuning, airbag reset, mileage, satilite devices, BIOS refreshing, motherboard BIOS in-circuit upgrade, xBox,Wii gaming machines EPROM duplicate, Altera Xilinx JTAG, PIC/MCU development, newer laptop technology and newer desktop PC etc. Asembled in Canada and post-sales support by MCUmall Electronics Inc. It is True/Real USB data transmission protocol (USB-USB), Not via Fake/Pseudo-USB data communication. 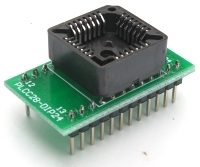 Fake/Pseudo USB data transfer needs the middle serial or parallel port conversion: USB-Serial-USB conversion or LPT-USB conversion, this limits the programming speed significantly. GQ-4X features the same revolutionary data interface as GQ-3X, the True USB data transmission with PC/LapTop. Connects PC via high-speed USB link, provides the fastest possible data transfer rates for programming/reading data from target IC's. Assembly language written programming algorithms run fast and reliable. Not affected by the PC speed changes and Windows 0/S variations. 7. The GQUSB software is especiaially developed for True USB willem programmers GQ-4X,GQ-3X, GQ-2X. 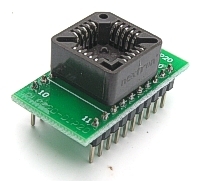 Packaging supported: TSOP48 (16bit & 8 bit), TSOP32, PSOP44, DIP8 to DIP40, PLCC, SOP,SOIC, MCS-51+, PLCC84, and etc. Intellectual property owner of USB Willem Programmer MCUmall True USB GQ-4X, GQ-3X & GQ-2X: MCUmall Electronics Inc.